The goal of Dr. Koppel’s research is to investigate the neuropathologic consequence of antipsychotic treatment on tau in Alzheimer’s disease, and to provide a new framework for the exploration of novel treatments for psychosis in Alzheimer’s disease. As an active clinician treating patients with psychotic Alzheimer’s disease in the clinic, the inpatient service, and in a skilled nursing facility, Dr. Koppel is reminded daily of the devastating effects that this common syndrome has on patients and care-givers. 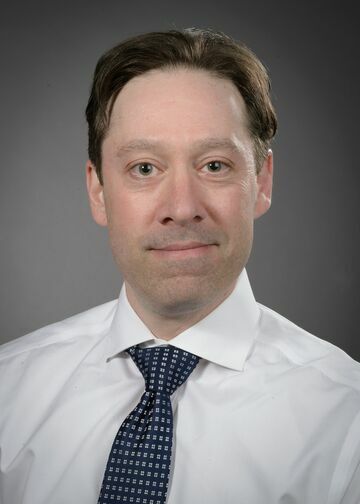 Dr. Koppel’s clinical research at the Feinstein Institutes for Medical Research has been focused on the cognitive, neuroimaging, and neuropathologic correlates of psychosis and antipsychotic effectiveness in Alzheimer’s disease. He has designed and led projects culminating in published papers focused on the neuropathology of Alzheimer’s disease and its relationship to the psychotic syndrome in both humans and animals. The development of psychotic symptoms in Alzheimer’s disease has been shown to predict a more rapid decline and hastened mortality. The mechanism of this altered trajectory has yet to be elucidated. Together with collaborators, Dr. Koppel first investigated biomarkers of this decline in the form of cognitive performance, neuroimaging, and proteins in cerebrospinal fluid. Following, he investigated neuropathological correlates in human brain tissue and identified frontal tau pathology as a potential mediator of decline. In order to develop a translational model for the development of novel treatments, he explored a model of psychosis, prepulse inhibition of acoustic startle, in a mouse model of frontally expressed human mutant tau. There is evidence that the endocannabinoid system may be activated in a compensatory fashion in response to evolving Alzheimer’s disease neuropathology. The endocannabinoids, binding at the CB2 receptor, may function to dampen inflammation, and may be critical to militating against worsening immune mediated cell damage and Aβ deposition. Dr. Koppel outlined this relationship in a review paper, and then designed an experiment to test the effect of CB2 deletion on Alzheimer’s disease pathology by breeding a novel CB2 receptor knockout/human mutant amyloid precursor protein over-expressing mouse. He also collaborated in the exploration of the CB2 receptor expression as a potential marker for AD-related inflammation utilizing PET technology. Additionally, he investigated the relationship between endocannabinoids in human serum and cerebrospinal fluid with cognitive performance and biomarkers of inflammation. The calcium homeostasis molecular protein-1 has been implicated in age of onset risk in Alzheimer’s disease. Dr. Koppel was part of the team that initially identified the risk posed by a polymorphism in the gene encoding this protein, and that eventually elucidated the functional properties of the protein. He was the principle investigator on a study that evaluated the relationship between CALHM1 genotype and levels of Aβ in cerebrospinal fluid of healthy individuals at risk for Alzheimer’s disease. Koppel J, Jimenez H, Adrien L, Chang E, Malhotra A, Davies P. Increased tau phosphorylation follows impeded dopamine clearance in a P301L and novel P301L/COMT-deleted (DM) tau mouse model. Journal of Neurochemistry, [Epub ahead of print, September 20, 2018]. Koppel J, Sousa A, Gordon ML, Giliberto L, Christen E, Davies P. Association Between Psychosis in Elderly Patients with Alzheimer’s Disease and Impaired Social Cognition. JAMA Psychiatry 2018, 75(6):652-653. Koppel J, Jimenez H, Adrien L, Greenwald BS, Marambaud P, Cinamon E, Davies P. Haloperidol Inactivates AMPK and Reduces Tau Phosphorylation in a Tau Mouse Model of Alzheimer’s Disease. Alzheimer’s & Dementia: Translational Research & Clinical Interventions. 2016 June; 2 (2):121-130. Koppel J, Sunday S, Goldberg T, Davies P, Christen E, Greenwald BS for the Alzheimer’s Disease Neuroimaging Initiative. “Psychosis in Alzheimer’s Disease is Associated with Frontal Metabolic Impairment and Accelerated Decline in Working Memory: Findings from the Alzheimer’s Disease Neuroimaging Initiative.” American Journal of Geriatric Psychiatry. 2014 Jul;22(7):698-707. Koppel J, Acker C, Davies P, Lopez OL, Jimenez H, Azose M, Greenwald BS, Murray PS, Kirkwood CM, Kofler J, Sweet RA. “Psychotic Alzheimer’s disease is associated with gender-specific tau phosphorylation abnormalities.” Neurobiol Aging. 2014 Sep;35(9):2021-8. Koppel J, Jimenez H, Azose M, D’Abramo C, Acker C, Buthorn J, Greenwald BS, Lewis J, Lesser M, Liu Z, Davies P. “Pathogenic tau species drive a psychosis-like phenotype in a mouse model of Alzheimer’s disease.” Behav Brain Res. 2014 Aug 20;275C:27-33. Koppel J, Greenwald BS. “Optimal management of Alzheimer’s disease psychosis: Challenges and solutions.” Neuropsychiatric Disease and Treatment. 2014 Nov 24;10:2253-62. Taruno A, Vingtdeux V, Ohmoto M, Ma Z, Dvoryanchikov G, Li A, Adrien L, Zhao H, Leung S, Abernethy M, Koppel J, Davies P, Civan MM, Chaudhari N, Matsumoto I, Hellekant G, Tordoff MG, Marambaud P, Foskett JK. “CALHM1 ion channel mediates purigenic neurotransmission of sweet, bitter, and umami tastes.” Nature. 2013 Mar 14;495(7440):223-6. Koppel J, Goldberg TE, Gordon ML, et al. “Relationships between Behavioral Syndromes and Cognitive Domains in Alzheimer’s Disease: The Impact of Mood and Psychosis.” American Journal of Geriatric Psychiatry. 2012 Nov; 20 (11) 994-1000. Koppel J, Campagne F, Vingtdeux V, Dresses-Werringloer U, Ewers M, Rujescu D, Hampel H, Gordon ML, Christen E, Chapius J, Greenwald BS, Davies P, Marambaud p. “CALMH1 P86L polymorphism modulates CSF Aβ levels in cognitively healthy individuals at risk for Alzheimer’s disease.” Molecular Medicine. 2011 Sep-Oct; 17(9-10):974-979. Koppel J, Davies P. “Targeting the endocannabinoid system in Alzheimer’s disease.” Journal of Alzheimer’s Disease. 2008; 15(3):495-504. Dreses-Werringloer U, Lambert JC, Vingtdeux V, Zhao H, Vais H, Seibert A, Jain A, Koppel J,Rovelet-Lecrux A, Hannequin D, Pasquier F, Galimberti D, Scarpini E, Mann D, Lendon C, Campion D, Amouyel P, Davies P, Foskett JK, Campagne F, Marambaud P. “A polymorphism in CALHM1 influences Ca2+ homeostasis, Aβ levles, and Alzheimer’s disease risk.” Cell. 2008 Jun 27;133(7):1149-61.